Christian did not know of his conviction; accuser absent from hearing. TIZI OUZOU, Algeria (Morning Star News) – The attorney for a Christian shocked to learn that he had been convicted of pressuring a Muslim to leave Islam said after an appeals hearing on Wednesday (Jan. 23) that the verdict was utterly unfounded. Mohamed Ibaouene, 36, learned on Dec. 11 that he had been convicted in absentia on July 4, 2012 by a court in Tigzirt, sentenced to one year in prison and fined 50,000 dinars (US$635). His appeal hearing this week took place in Tindouf, where he held a position with an international business concern, and where a machine operator approached him to ask if he was a Christian. The machine operator, a hard-line Muslim identified only as Abedlkrim M., later accused Ibaouene of pressuring him to renounce Islam under Algeria’s controversial Law 06/03, which restricts religious practice of non-Muslims. 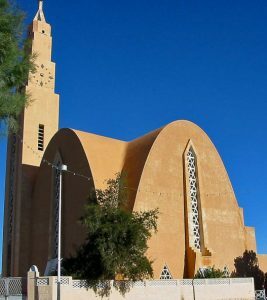 Ibaouene denies the charge, saying the 27-year-old Muslim was the one pressuring him to change his religion, and that Abdelkrim M. leveled the accusation only after Ibaouene, a convert from Islam, refused to renounce Christ (see “Algerian Christian Unknowingly Convicted, Sentenced,” Dec. 21, 2012). At the hearing on Ibaouene’s appeal on Wednesday, the prosecutor shouted to the judge that he uphold the conviction and sentence, according to Ibaouene’s lawyer, Mohamed Benbelkacem. Law 03/2006, commonly known as Law 06/03, mandates a prison term of two to five years and a fine of 500,000 to 1 million dinars for anyone who “incites, constrains, or utilizes means of seduction tending to convert a Muslim to another religion.” The original prosecutor had sought a prison term of two years and 100,000 dinars. The original judge sentenced him to only half of each request. At Wednesday’s hearing, Benbelkacem implored the appeals judge to acquit Ibaouene, especially as his accuser did not bother to appear. The appeals judge said he would rule on Feb. 6. Adding that Law 06/03 is flawed, the defense attorney said he didn’t believe its stipulations required the judge to uphold the conviction and sentence. Ibaouene’s lawyer filed the appeal on Dec. 15, four days after the Christian learned he had been convicted. Authorities did not serve the judgment to Ibaouene sooner presumably because he had left Tindouf after marrying in June and they were not aware of his whereabouts, and because of slow administrative processes. 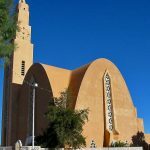 Ibaouene is part of an undisclosed church in Tizi Ouzou, capital of Tizi Ouzou Province on Algeria’s northern central coast. He has not been arrested, and he made the trip to Tindouf, a town of 46,000 residents plus 90,000 Sahrawi refugees some 1,460 kilometers southwest of Algiers, by airplane. Algeria’s population of 35.4 million people is more than 97 percent Muslim and only .28 percent Christian, according to Operation World.